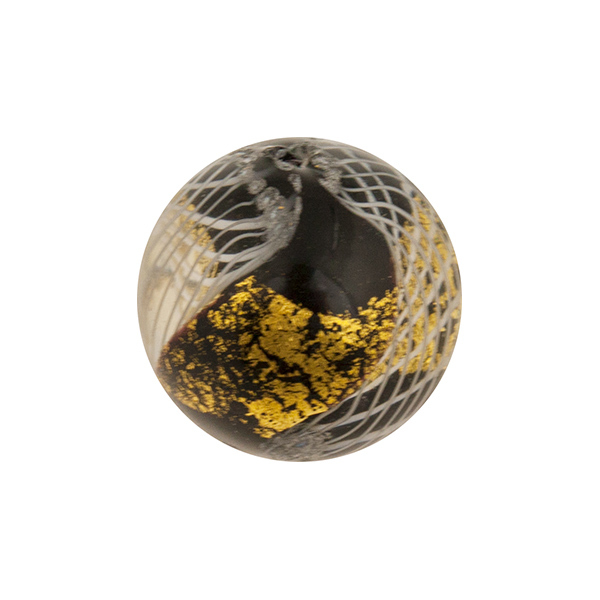 This is a classic Venetian Bead incorporating Reticello and Gold Foil. The exact size, shape and placement of the reticello and Gold Foil are completely random and no two are ever exactly alike. The size of this round bead is approximately 16mm with a center hole of approximately 1mm diameter. 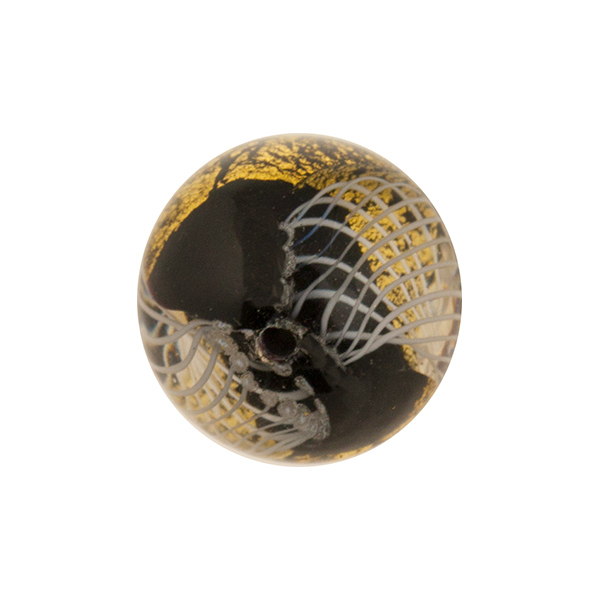 The color of this bead is an opaqua Black with White Reticello. Reticello is a similar technique as Filigrana, but the strips of color are twisted as they are elongated into rods with little perfect diamond shape colors forming. In this case the Reticello is White. Opaque Colors tend to have striations as the color reacts to the fire. This is not a defect just how these more dense colors are.